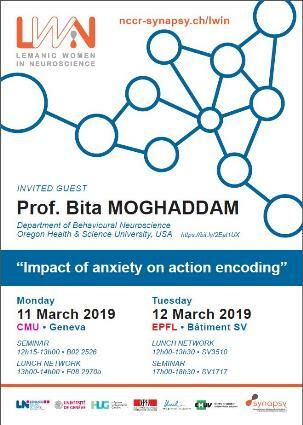 Bita Moghaddam was the guest of Synapsy-LWiN seminars and lunches at both Geneva University and EPFL last March. Bita Moghaddam is full professor at Oregon Health and science university where she has the Chair of the Department of Behavioral Neuroscience. Bita started her neuroscientist career with a PhD in biochemistry performed at the University of Kansas. She pursued with a postdoctoral training in pharmacology at Yale University. She then joined the Yale’s faculty of psychiatry where she worked as a senior researcher before becoming full professor. After a long stay at the University of Pittsburgh, she joined Oregon University three years ago. In the past 26 years, her lab was interested in modeling aspects of psychiatric disorders, focusing on the medial prefrontal cortex (mPFC). “This is a challenging and difficult thing to do”, she said while explaining the topic of her talk focused on anxiety. Anxiety is the debilitating symptom of many brain disorders, either neurodevelopmental or neurodegenerative. The idea of Bita is to reduce symptoms of anxiety to get a major impact on psychiatric disorder. But, “current behavioral paradigms of anxiety are not adapted to know how you can perform day-to-day tasks with anxiety”, she said. It’s why her lab is developing new behavioral paradigms to understand anxiety encoding in the brain, with the ultimate goal to model it. 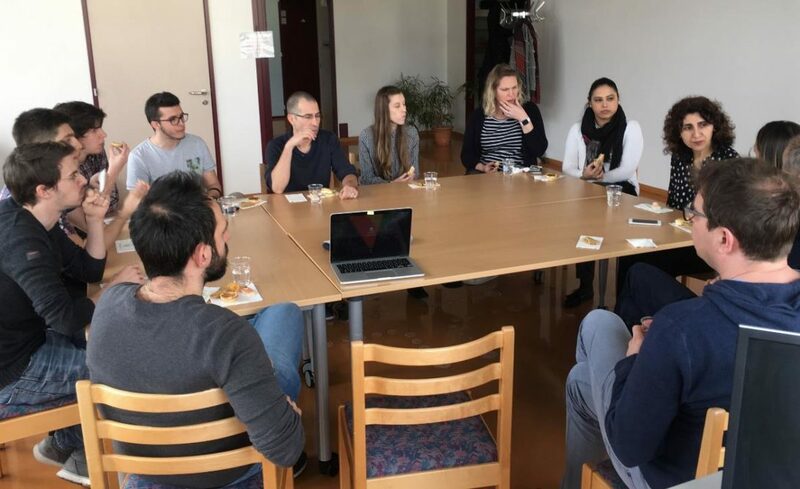 After her remarkable talk, Bita participated in LWiN career and equal opportunities lunches with the students, Camilla Bellone and Alexandre Dayer.